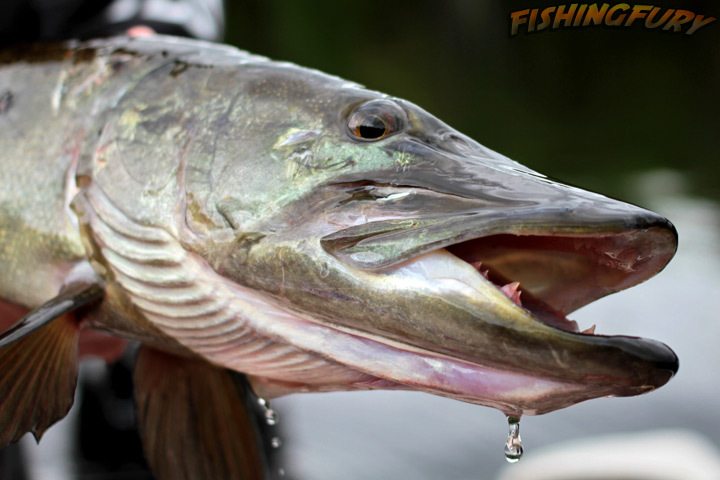 Top 5 Spring Muskie Lures | FISHING FURY - A Fishing Blog with Attitude! 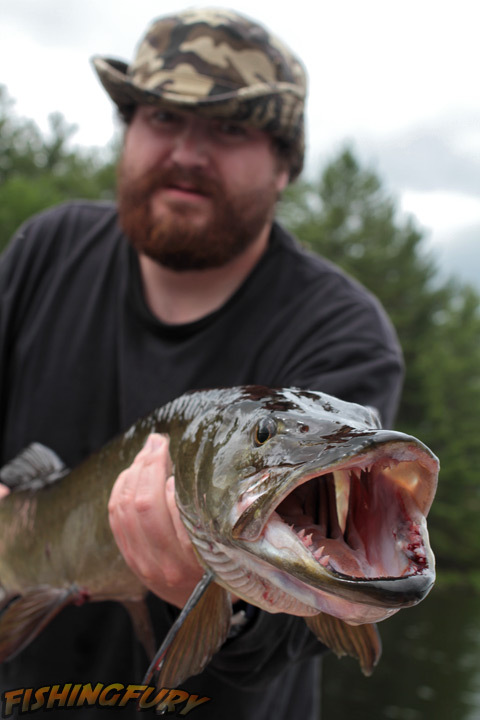 There is no better time to catch muskie in numbers than the spring and early summer. 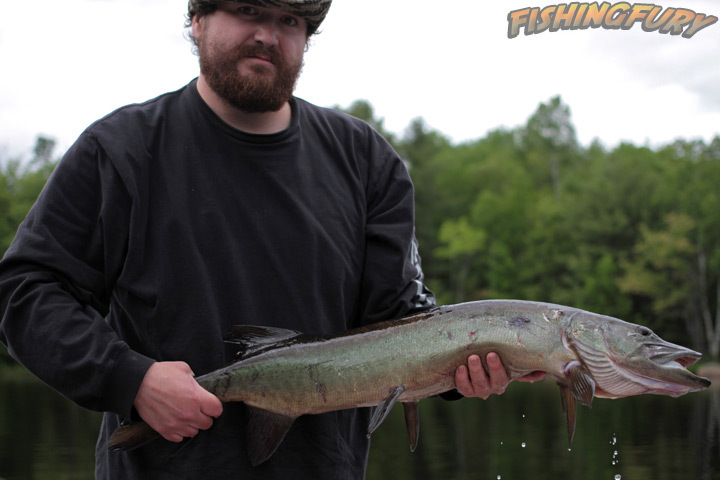 Temperatures above and below the water surface are still relatively cool and muskie have finished their spawning. During this time they are likely still found grouped in shallow water or slowly moving toward deeper water. By concentrating efforts in fairly shallow water, we have been able to catch several great fish over the years. 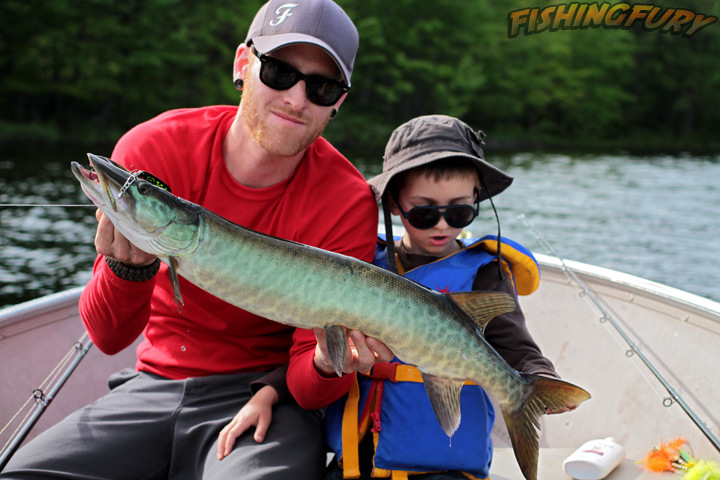 Here are a few of our favourite spring time muskie lures. To be honest, I wasn’t a believer in this lure until this year. Sure I’d heard the stories of this world famous lure, but it had never caught me a fish. In fairness, I didn’t use it very often because I simply didn’t like the look of it. It’s body looks like a deranged combination of a platypus and a manatee. After boating four nice muskie with the Believer during the first two muskie trips of the year, it has earned a permanent spot in my muskie tackle box. The Believer is ideal for trolling and casting and is available in several colours and sizes up to 13 inches. I fell in love with glide baits about five years ago while fishing for muskie in Fredericton, New Brunswick. While there are several great glide baits to choose from (such as the Hellhound and Magic Maker) there is something very special about Phantom Lures. The detail and quality of these lures is only topped by their amazing gliding action. View our first impression of Phantom Lures. You can’t go wrong with either of these lures, they are so similar that we have grouped them together. These are both versatile lures that you can cast all day or sit back and troll. Between Rapala and Tackle Industries you’ll have over 50 colour patterns to choose from! Check out our comparison of the Super Cisco and the Super Shad Rap. While my usual approach to muskie fishing lures is “go big or go home,” I love using smaller baits (under 8 inches) in the spring. My opinion may be biased on these lures since I make them with my own sweat and blood, but they have caught me several big fish in the spring. I had originally designed them with pike in mind, but I started making them bigger and stronger with larger hooks to handle the raw power of muskie. There are numerous bucktails and marabou tail lures out there that are similar to what I make, stick with the ones you have the most confidence in! If I made a top five list for every species I usually target, the Mepps Black Fury would no doubt be found on each of them. The Mepps Black Fury has caught me more fish than any other lure. While #5 Mepps are considered to be a tiny lure in the muskie world (weighing only half an ounce), it has it’s place among my spring time favourites. 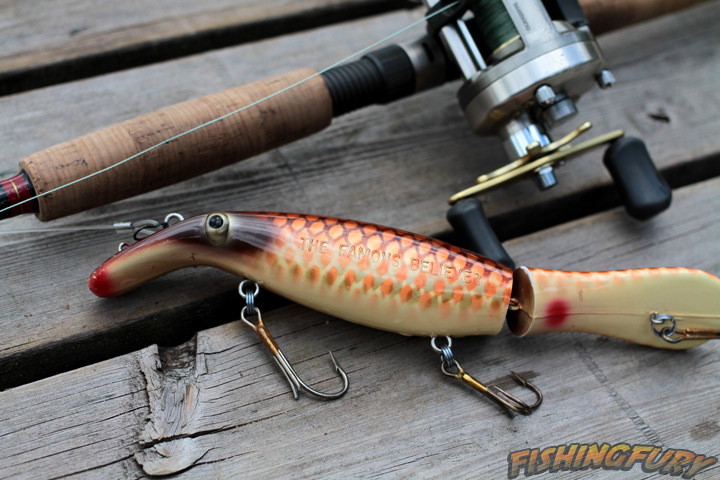 If you are going to go with the standard #5 Mepps, the first thing you will want to do is remove the hook that comes with it and replace it with something more muskie friendly (such as a 4/0). If you go with the Musky Killer versions of this lure, you are pretty much good-to-go right out of the package. 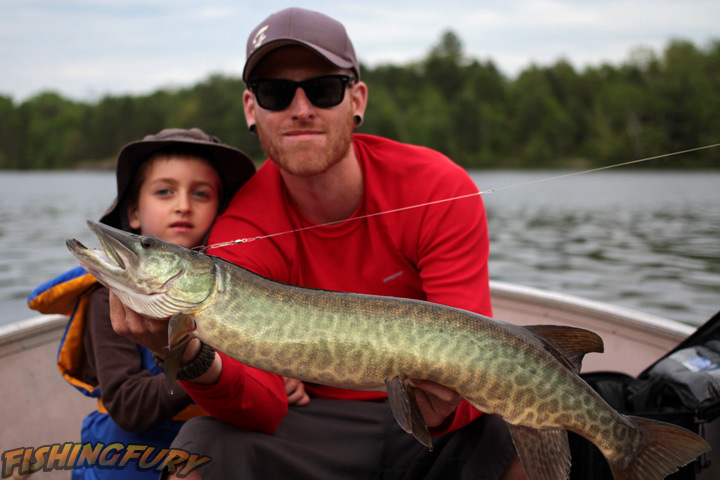 The standard Black Fury Musky Killer with black bucktail have always been my favourite, but orange, silver and black – or any combination of these three colours – have proven to be very successful across Ontario. While these are some of our favourites, don’t overlook other options such as spoons or top water lures. Big soft plastics, such as Bulldawgs are never a bad idea to try either. We concentrate most of our initial efforts in water that is no more five to ten feet deep. If water temperatures are above normal, start trolling through drop-offs and deeper water to find those fish that have moved out of the shallows to find food. If you are still targeting pike up north this season, make sure to check out our Top 5 Spring Pike Lures article! The gallery below is proof from this season that these lures can really get the job done early in the season! Between Michael and myself we have caught eight muskies so far. 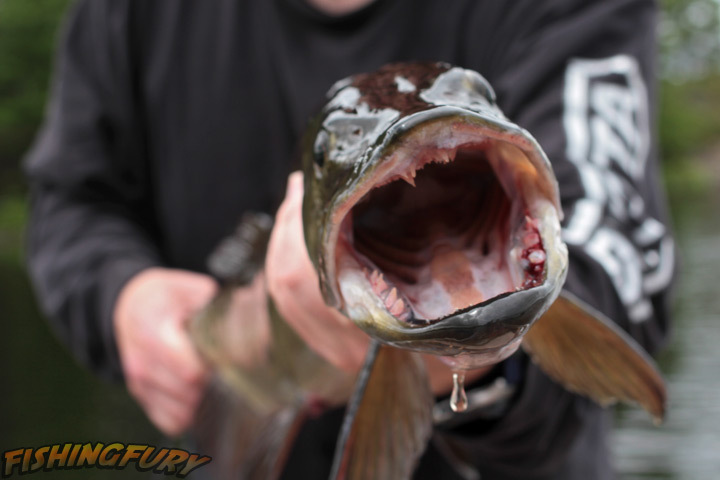 New Photo Gallery From Mystery Lake | Fishing Fury - A Fishing Blog with Attitude!